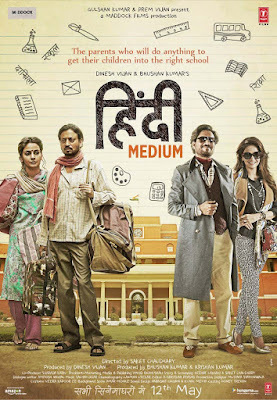 Hindi Medium has low first weekend box office collection in India with 11.00 Cr. The Friday opening Of The Movie was very low with 2.50 Cr but movie grow better on next day Saturday with the collection of 4.00 Cr and Sunday was also very good with 4.75 Cr. Movie had collected decent collection in its first three days on Indian Box Office and the growth of movie will ensure a Success for its makers.